There is already a tornado warning in effect. Please keep an eye out if you live in these areas. 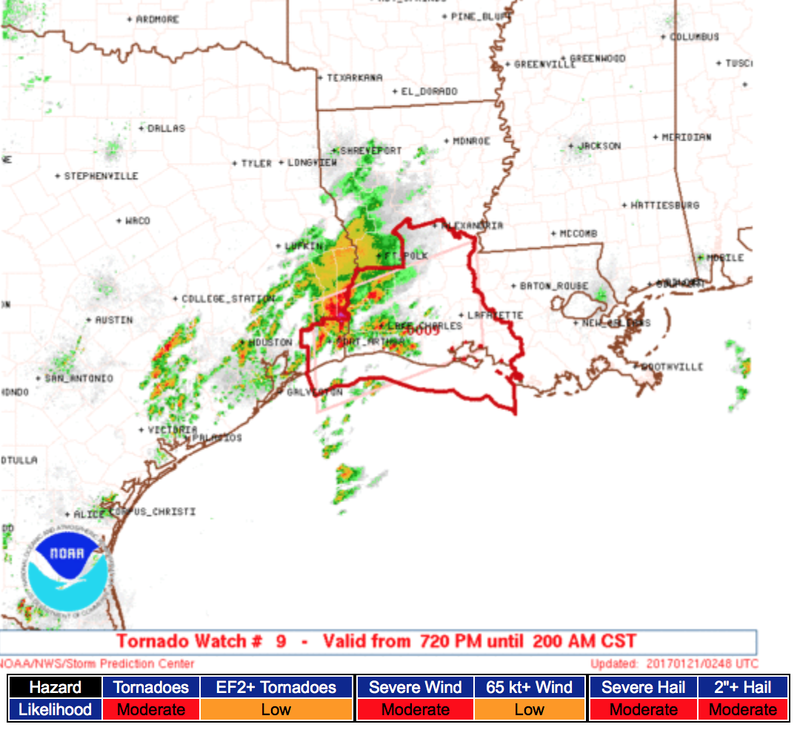 Also, there is a larger risk area later during the night. 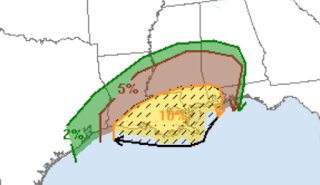 The brown, 5%, risk area is the significant tornado risk threshold. 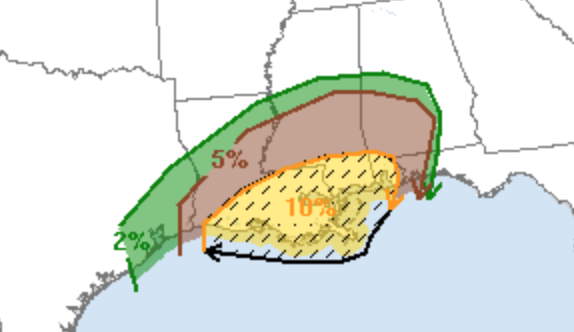 The yellow has an elevated risk and the hatched area is where a violent tornado could occur.